Comic Guru TV Enters Another Galaxy… Four. Mid December something quite significant happened in the world of Doctor Who. No, they didn’t hire me to write an epic steampunk reinvention of the Cybermen! Yeah, sorry to be a downer. But they did discover two previously ‘lost’ episodes of the classic series. 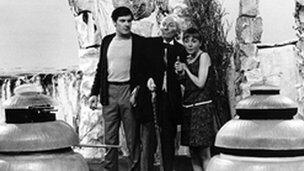 Part three of Galaxy Four, starring the original Doctor, William Hartnell, and part two of The Underwater Menace, starring the second Doctor, Patrick Troughton. They were lost during the massive clear up of the BBC Archives in the ’70s. Still 106 episodes are missing from Doctor Who during 1964 and 1969, and for a long while hope of ever finding them had also disappeared among the higher echelons of Doctor Who fandom. Now that hope has returned… as witnessed by episode four of Comic Guru TV! Well, this is it, the end of 2011. It’s been a rather interesting year for me personally, and a brilliant year for my career – although, even that is only a stepping stone to bigger things. Roll on 2012, I say! Big thanks to all my loyal supporters! To wrap the year up, here’s a rather amusing episode of Comic Guru TV (stay for the end, that’s hysterical!). 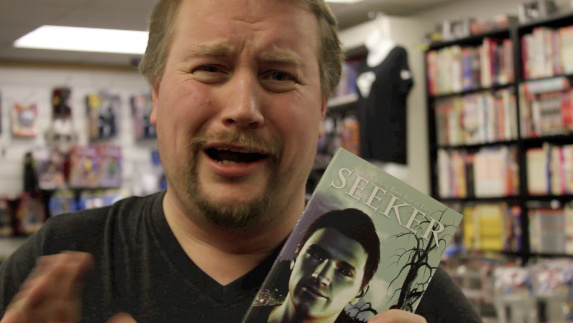 Seeker has also been featured in this week’s Comic Guru TV. 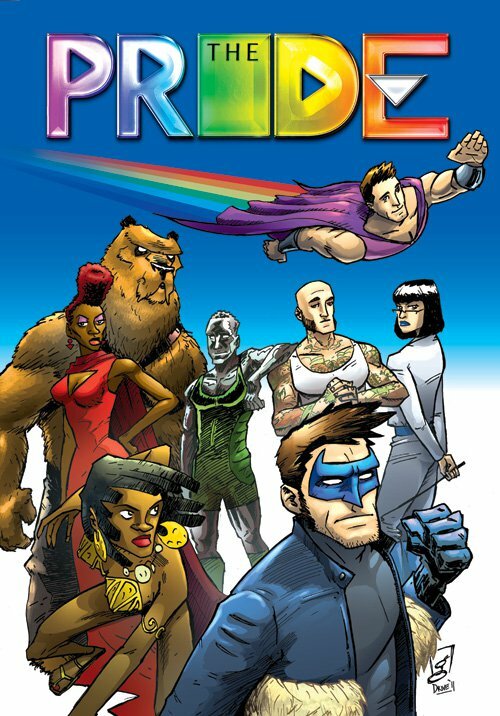 The Comic Guru is one of the premiere comic shops in Wales, and is based in Cardiff. The owner, Kristian Barry, has been a supporter of Seeker since it was released back in March, and has, over the last six months or so, become a very good friend indeed. So big love and thanks to him for the continued support, and the wonderful comments in the webcast. Jake was in a good place. True, life could still be as tough as nuts, but he’d made it. Not to say his life was now perfect, it was far from that, but he was at least in a space he could call good. Well, compared to the two longest weeks of his life back in March. He tried not to dwell on those weeks too much now, but once in a while the memories and accompanying feelings would come around and smack him in the face. ‘You still there?’ Conrad asked. Jake could hear Conrad’s smile in his voice. Sometimes Jake reckoned that if Conrad was any more laid back he’d spend his whole life on his back. Jake grinned at the mental image that brought forth. ‘I guess. Haven’t seen each other in what seems like forever.’ Jake paused. He couldn’t back down now, either way. ‘Curtis is eager to see him, so yeah, should be fun.’ As soon as he mentioned Curtis’ name, the toddler came bobbing down the stairs. Jake didn’t even bother with the safety gate that Willem had installed anymore. Curtis was walking so much better these days, full of the bubbly life a three-year-old was supposed to have. 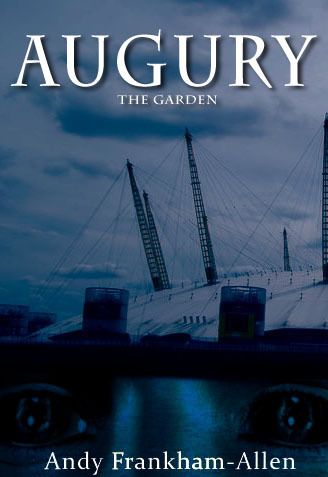 He’d changed a lot since Jake and Lawrencia had come to their ‘agreement’. Jake smiled to himself; Will would be very happy to see his nephew, too. ‘Huh?’ Once again Jake was miles away. He seemed to do that a lot these days. ‘Sure thing,’ Jake said, and ended the call. Curtis stood at the bottom of the stairs, wearing the jumper Jake had bought him for his birthday last month. He had told Curtis it was from ‘undle’ Willem, and Curtis had corrected him saying it was uncle. Getting the kid into playschool was paying off for sure. And since it was a present from his missing uncle, Curtis had decided that the jumper was his favourite and thus had to be worn almost every day. Or at least the three days he stayed with Jake, since Jimmy refused to allow the boy to wear it. Merely because it was ostensibly a present from Will. Curtis shook his head. ‘No. I get cold outside.’ He stretched up for his coat hanging on the rack by the door, but couldn’t reach. Jake lifted the coat off the rack and held it higher. Curtis started jumping for it, but Jake kept moving the coat around, making Curtis jump and run around in circles. Laughing. Jake loved it. Such a happy kid now. Jake grinned. ‘Yeah, kind of.’ They were certainly going to Paddington, that much was true, but not to get marmalade. Jake had already secretly stashed some in the glove compartment to give to Curtis later. The kid would never know. They were going to meet someone. A very special someone, and already in his mind Jake could see the big smile on Curtis’ face when he saw who it was. Curtis reached out for Jake’s hand, and he took the chubby brown hand tightly. Curtis smiled up at him. Just before closing the door Jake glanced across the passage to the kitchen beyond. The house, Will’s house, had his own touch to it now. He wasn’t sure how Will would like it.